A profusion of blue and white flowers in this original painting by Jen Curtis. I love colour and especially in Spring I feel that Mother Nature loves to show off a rainbow of colorful flowers. The background is full of various green grasses and tiny white flowers. 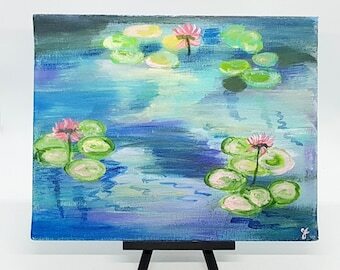 I love to paint in a slightly impressionistic style with lots of texture! Measures 10 x 8 inches (26 x 20 cm) and Ready to ship now! Perfect gift for nature lovers and gardener's. This would make a lovely gift for a new home owner. Remember that art is meant to be enjoyed and doesn't need to match the decor! 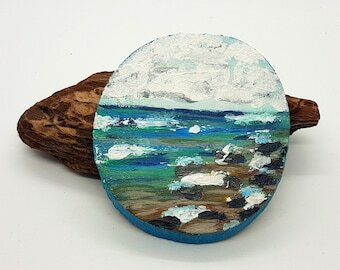 Please note: This listing is for the art in the first few photos- the other art pictured are other paintings available in my shop! 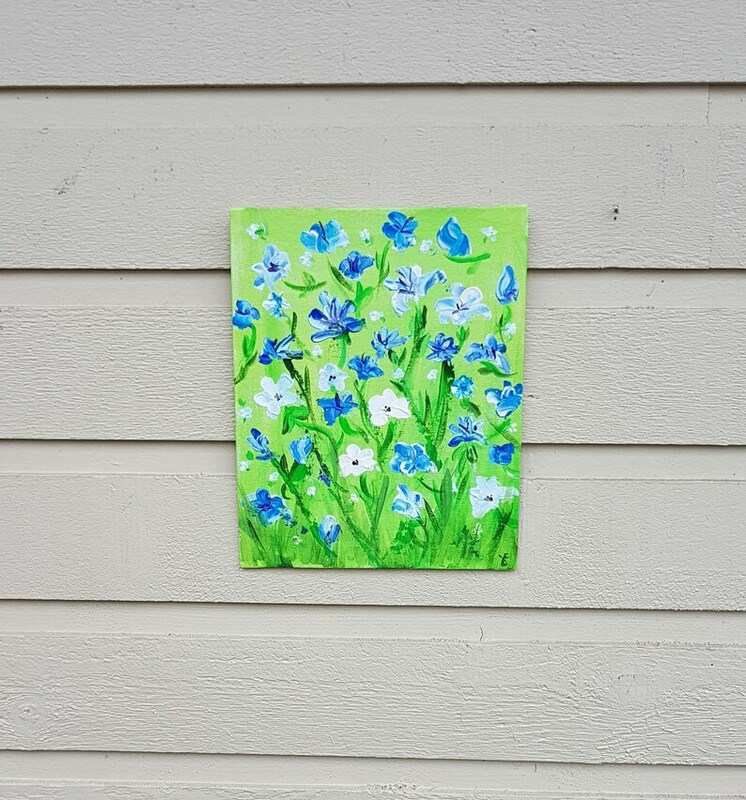 Mini Art piece - does not come framed - I have attached a flat hanger from this canvas so that it can be hung directly on the wall (see photos) - you may also have it framed at a local craft store or framing shop. ~Important Details~ all computer screens are different and I have taken indoor shots with LED lighting and outside shots in natural lighting to try to give you an idea how the colors may change in different light. 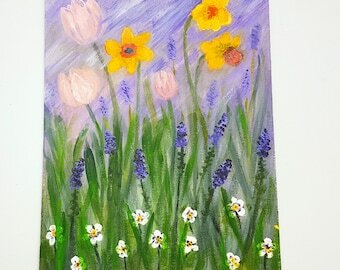 English garden-Tulips, daffodils, lavender flowers, pinks, purples, greens, yellows, acrylic on canvas handpainted, 8 x 10 "Cat's Eye View"